Some people think Mario is Italian, American or Italian American. But what if Mario was British? 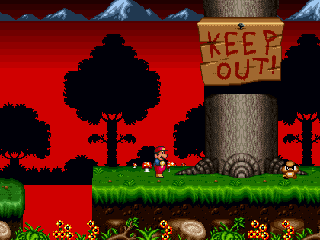 In British Mario VS I.M. Meen, A British Mario fancies a bag of crisps, but when I.M. Meen gets involved, a trip to Tesco turns into a big adventure. 1 reference to "Removal Man". PixelatedMario123 Despite all the physics, controls and sound problems, It was a wild ride. It was funny, it was intense, it was also nightmare fuel. I've been making these kind of games since 2016. When you hit the space bar, it asks for a password and I already don't know how to jump in the game so I'm pretty much unable to go anywhere so far. You have to press "Shift" to jump. I tried the starry sky robotropolis zone 50 times or more... should make me feel humiliated - but no, i was addicted to it! You know what they say, "OH NO MARIK!" Super Marik: 8/10 "this old wine has aged well"
Later I jump punched Meen 34 times, it was the wrong thing to do. I had a lot of fun too. How do I get past the Chapter 1 screen? Normally you're supposed to wait until the music's finished. The music doesn't play. I didn't know there was any until you said so.